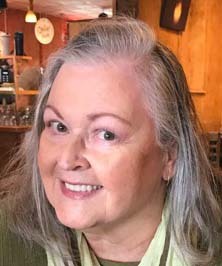 MORTON – Nancy A Henderer Coker, 71, of Morton, IL formerly of Prescott Valley, AZ passed away at 6:15 a.m. Thursday, April 11, 2019 in Peoria, IL. She was born July 14, 1947, in Berwyn, IL to Donald and Carolyn (Ogle) Henderer. Surviving, from her former marriage, is daughter Sara Jane Wineland (Seth), of Peoria, IL; son Joshua Henderer Coker of Portland, OR; her fierce and amazing granddaughter Grace and spiritual daughter-in-law Jalalieh of Arizona; sisters Jody Burns (Kenn) of Robinson, IL; Laura Beebe of Pacific City, OR; and her lifelong friend Richard Decker of Peoria, IL. Her parents and sister Jane Buckles one brother in law Michael Beebe preceded her in death. Nancy was first and foremost an educator. She attended the Maria Montessori Institute of London, England and furthered her education at Illinois State University where she specialized in Elementary Special Education. Nancy lived and taught in various locations throughout her career including Peoria, San Francisco, Hawaii, London, and Tianjin China. She finished her teaching profession with the Navajo Reservation School Systems located in Arizona. She served as Sparland Village Clerk, president of Marshall County Historical Society, along with the Boards of Directors of Central Illinois Friends, Children's Film Society, and Marshall County Artists. Cremation has been accorded and a Celebration of Life is scheduled from 4:00 until 7:00 p.m., Monday, April 15, 2019 at The Bahai Center 5209 N Univeristy St, Peoria, IL. In lieu of flowers, donations can be given to the family to assist with expenses. To share a memory or send a condolence for her family, visit www.peoriafuneral.com.